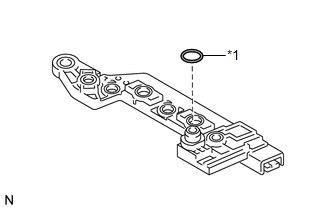 If the resistance is out of the specified range with the ATF temperature shown in the preceding table, replace the ATF temperature sensor assembly. Otherwise, the driveability of the vehicle may decrease. 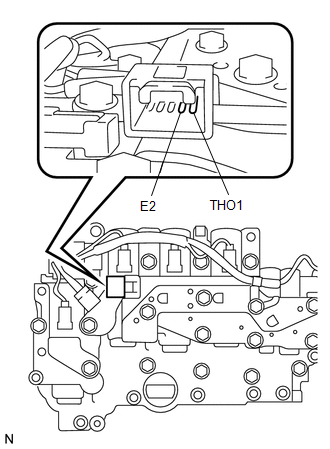 (a) Disconnect the ATF temperature sensor assembly connector. (b) Remove the 4 bolts, ATF temperature sensor assembly and clamp from the transmission valve body assembly. 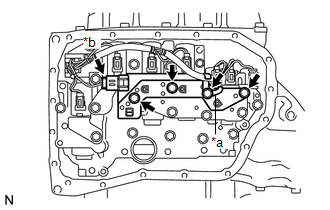 (c) Remove the O-ring from the ATF temperature sensor assembly. 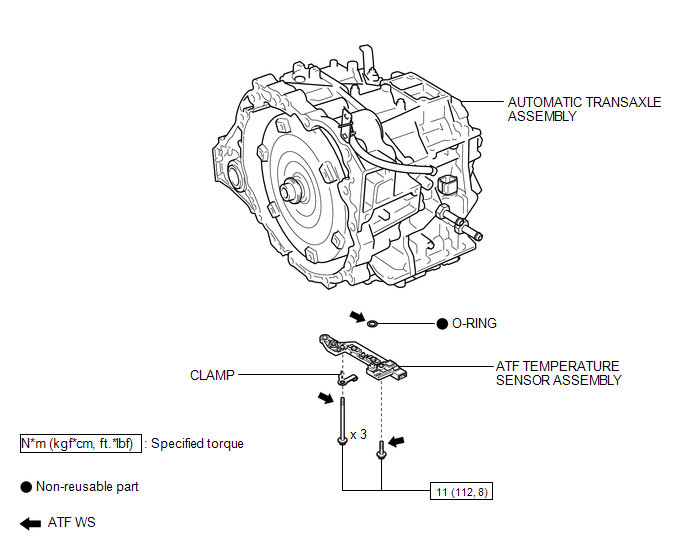 (c) Install the ATF temperature sensor assembly and clamp to the transmission valve body assembly with the 4 bolts. (d) Connect the ATF temperature sensor assembly connector.